I believe that one of the best gifts we as parents can impart to our children is a lifelong love of reading. But how do we help our toddlers or preschoolers to develop and grow such a love? 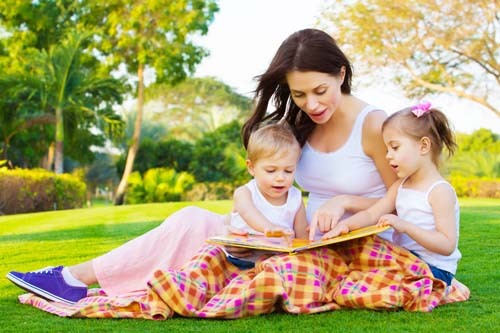 Reading to your child is greatly encouraged and preferably starting from birth. Personally, during the first 6 months when my son arrived, my world turned upside down. I barely had time to sleep, and it’s a struggle each day to frantically care for him. So I never had time or the peace to read to him when he’s a newborn. I started reading to him when he’s about 7 months old. From little baby board books, fabric books to prevent him from chewing, and now progressing to toddler books, he has developed an interest in books. I love buying books as part or as the main present for birthday or Christmas gift for young children. Last year, for my six nieces and nephews, I bought each of them a big, beautiful pop-up book that’s delightful to look at. They were all fascinated by the gorgeous popups. My sister-in-law told me months later that her son would still take out his popup book sometimes to pore over the contents. For my own toddler son, I’ve also been buying books as part of his Christmas or birthday presents. I would choose age-appropriate for him, or choose books higher for his level that I can read to him. Instead of merely reading the book and putting it aside, talk to your child more about the story being read. Start a discussion. When your child is young like a toddler or preschooler, ask him simple questions about the story or pictures being shown. With Kaden, I would ask questions like what is the color of the girl’s top? Where are the balloons? How many cupcakes are there? What can you see from this picture?” These questions and little discussions help to increase his reading comprehension. Even when a child is not speaking very fluently yet, she is already observing what her parents are doing. If you would like her to read, show her that you enjoy reading yourself! Model the habit you would like to instill in her. When you have a boy, it’s even better to have your son sees his daddy reading. That said, my husband doesn’t like reading. He probably only read the newspapers. But I’ll let my kid see me read magazines, newsletters or books. Place a box of your child’s books in an easily accessible place. I used to put Kaden’s books in a box inside the playroom. But I seldom go into that room these days and Kaden likes to follow me. So I didn’t get to see him browsing his books as much as he used to. Recently I shifted out the box into the living room where we are spending more time, and he is back to taking out books and browsing through them, looking at pictures, asking me questions about his books. Which kid doesn’t like having his name appearing as the main character of the storybook? I haven’t bought a personalized book for Kaden yet, but I can already imagine that it would be an instant hit with him. 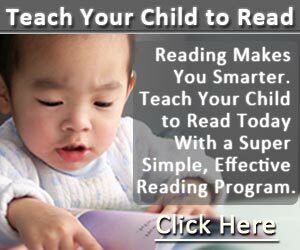 It’s also a great motivator for your child to learn reading. If you want to grow your child’s interest in reading, she has to have a constant access to books. But you might not have a huge collection of books at home. So the library is a fantastic place to take your child to. I haven’t started taking Kaden to the library yet. But when he’s older and if I want to supply with more books, the library would be a great place for us to hang out and let him choose his own books then. If you have other ideas that would encourage a child to read more, please leave a comment below! I’d love to hear from you.